Expanding HIV testing and linkage to care in southwestern Uganda with community health extension workers – Integrated Community Based Initiatives (ICOBI). Introduction: Achieving the UNAIDS goals of 90–90-90 will require more than doubling the number of people accessing HIV care in Uganda. Community-based programmes for entry into HIV care are effective strategies to expand access to HIV care, but few programmes have been evaluated with a particular focus on scale-up. 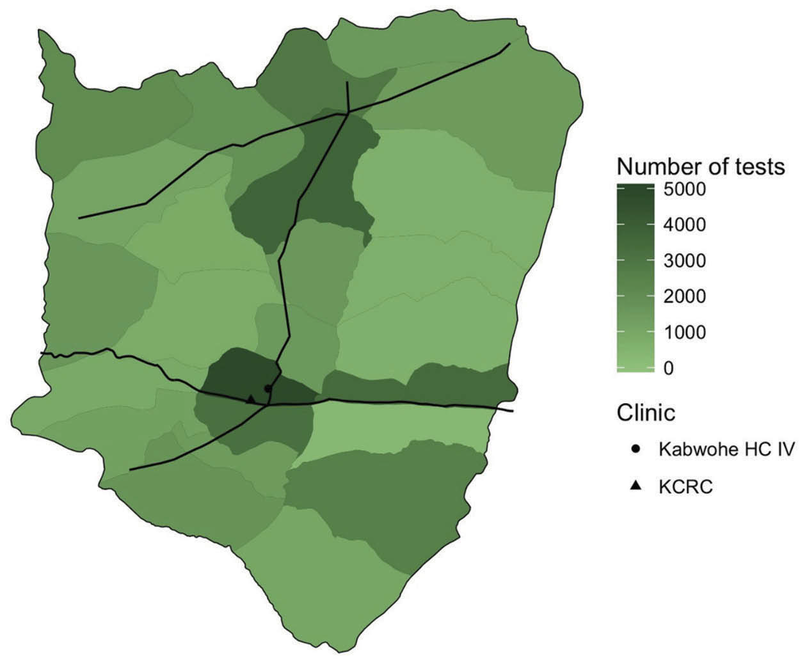 Methods: Integrated Community Based Initiatives, a Uganda-based non-governmental organization, designed and implemented a programme of community-based HIV counselling and testing and facilitated linkage to care utilizing community health extension workers (CHEWs) in rural Sheema District, Uganda. CHEWs performed programme activities during 1 October 2015 through 31 March 2016. Outcomes for this evaluation were (1) the number of people tested for HIV, and (2) the proportion of those testing positive who were seen at an ART clinic within three months of their positive test, and (3) the cost of the programme per person newly diagnosed with HIV. Microcosting methods were used to calculate the programme costs. Program scalability factors were evaluated using a published framework. Results: Sixty-two CHEWs attended a five-day training that introduced the biology of HIV, the conduct of confidential HIV testing, HIV prevention messages, and linkage, referral, and reporting requirements. CHEWs received a $30 monthly stipend and a field testing kit that included a bicycle, field bag, umbrella, gumboots, reporting booklet, pens, and HIV testing materials. Trained CHEWs tested 43,696 persons for HIV infection during the six-month programme period. Nine-hundred seventy-four participants (2.2%) were identified as HIV positive, and 623 participants (64%) were linked to HIV care. 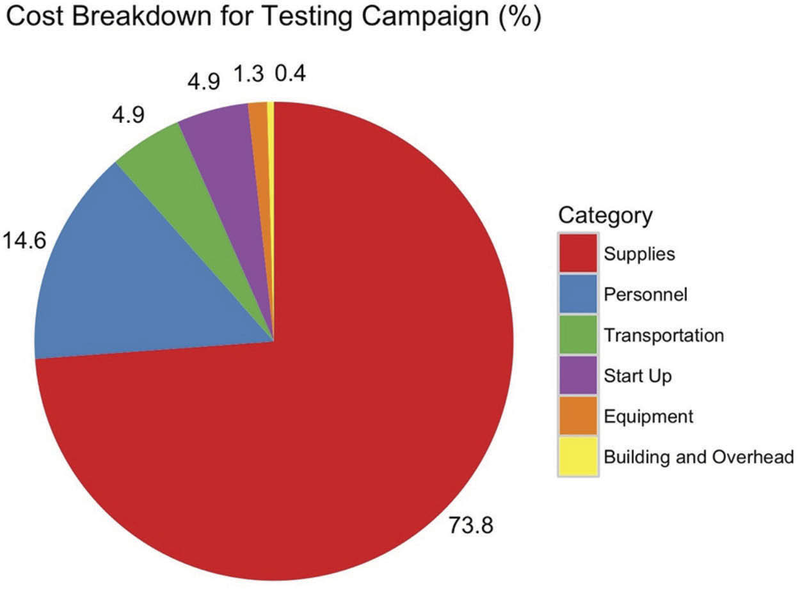 An estimated 69% of adult residents received testing as part of this campaign. The programme cost $3.02 per person test, $135.70 per positive person identified, and $212.15 per HIV-positive person linked to care. Conclusions: Lay community health extension workers (CHEWs) can be rapidly trained to scale-up home-based HIV testing and counselling (HTC) and linkage to care in a high-quality and low-cost manner to large numbers of people in a rural, high burden setting. A combination HIV testing approach, such as adding partner testing to community-based testing, could increase the proportion of HIV-positive persons identified. To access the supplementary material to this article please see Supplementary Files under Article Tools online.